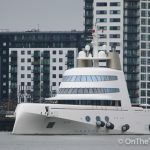 STUNNING superyacht Kismet has completed another visit to London. 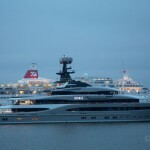 Built by the Lürssen shipyard in 2014, the 95 metre long vessel is believed to be owned by Shahid Khan and was in the capital once again to coincide with the NFL team he owns playing in London. 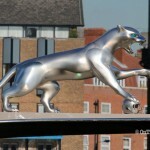 The Jacksonville Jaguars were in action at Wembley on Sunday and, as with the 2014 visit, Kismet was moored at St George's Stairs with a life size jaguar model on the bow. 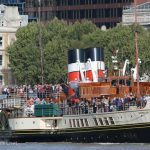 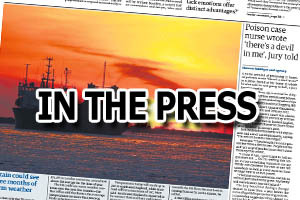 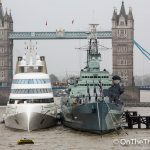 Following the Jaguars' victory over the Indianapolis Colts, Kismet sailed down the Thames on Monday and a unique scene was played out at Gravesend as the superyacht cruised past the Lightship LV21, the heritage paddle steamer Waverley and the Peace Boat cruise ship which was moored at Tilbury. 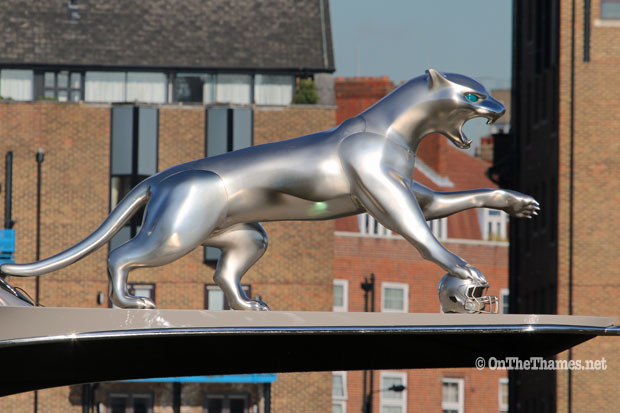 Jaguar with topaz eyes was placed on the bow of the yacht while it was at St George's Stairs, as it was above in 2014. 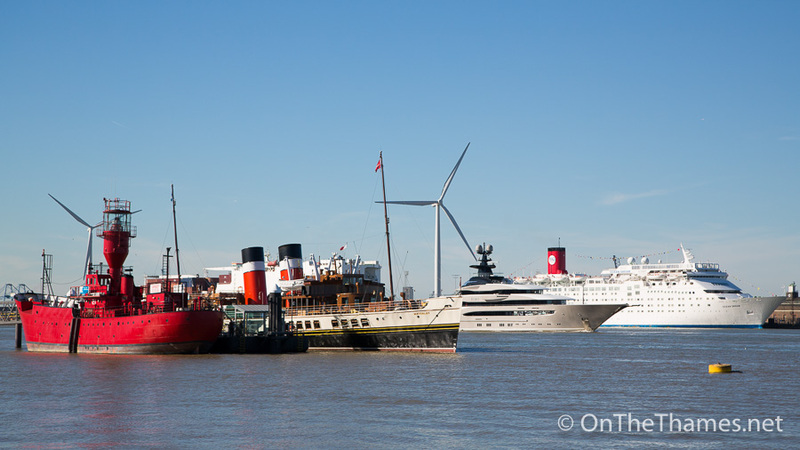 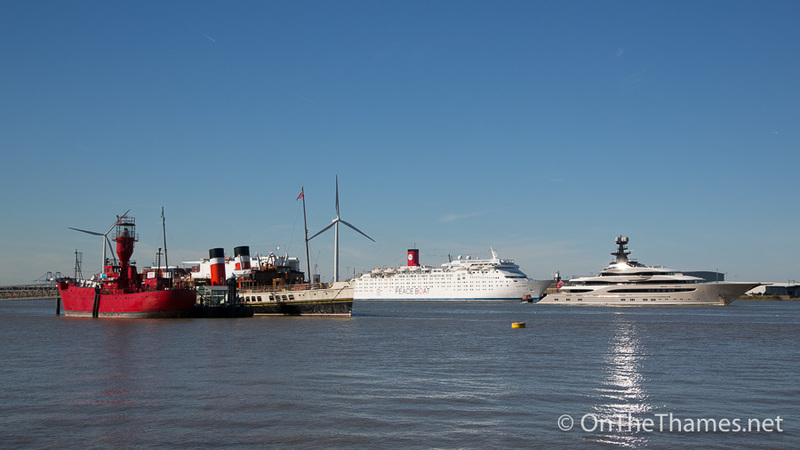 LV21, Waverley, Kismet and the Peace Boat cruise ship paint a picture of the varied traffic found on the Thames. 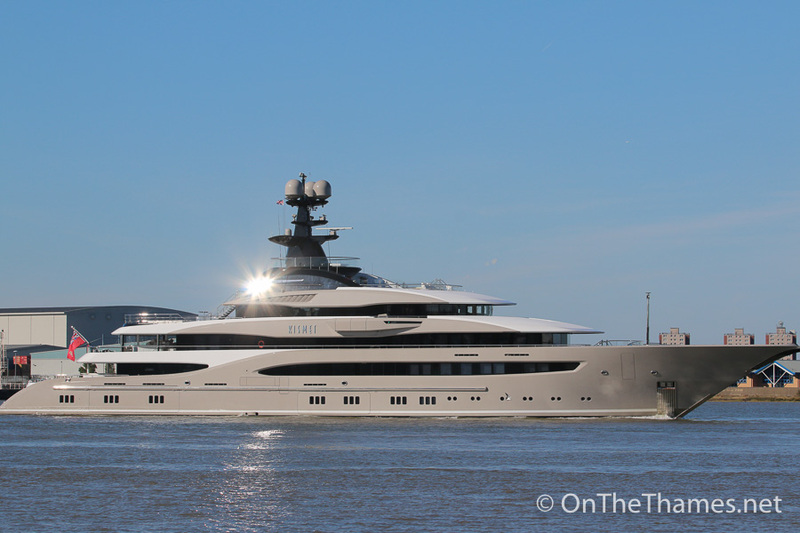 Kismet last visited the Thames in November 2014. 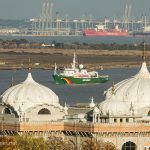 Shahid's shining ship sails down the Thames, fresh from his team's victory at Wembley. 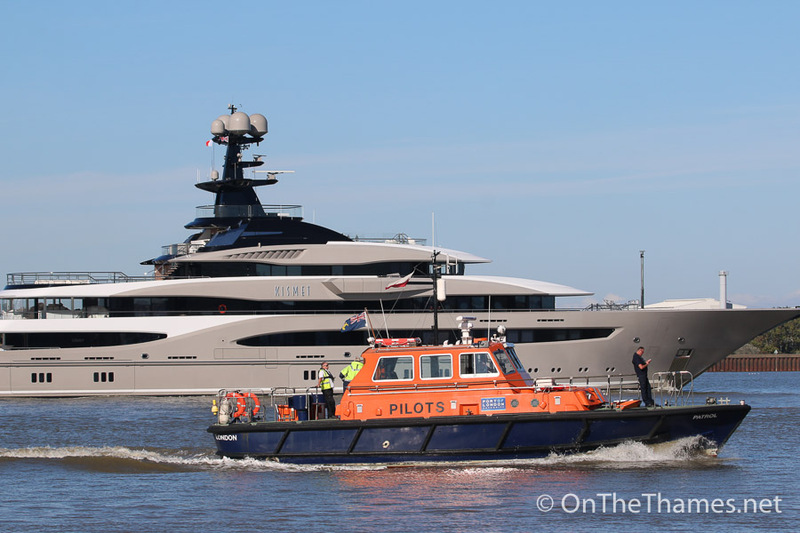 The PLA's pilot boat Patrol seen alongside superyacht Kismet.